"I could not have done better regardless of point of contact." 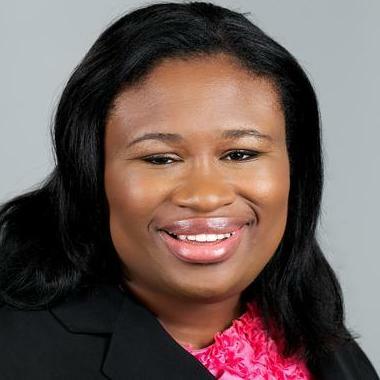 As former staff for the SEC and State Street Bank & Trust, Keidi S. Carrington brings a wealth of legal knowledge and business experience in the financial services arena with a particular focus on investment management. Her practice focuses on incorporating startups and small businesses, drafting the necessary documents such as partnership, operating and shareholder agreements as well as by-laws and assisting businesses with raising capital by establishing Regulation D private placements, Regulation A small securities offerings, drafting S-1 registrations and convertible equity/debt contracts. She also negotiates various employment… read more contracts, vendor contracts and purchase agreements. "Fast and professional work - made my life much easier as I try to start a business." "Keidi is a very informed and professional attorney with expansive knowledge on several subjects. She was very willing to explain the process and any question I had. I would definitely encourage anyone looking for an attorney with expertise in SEC regulation to work with her." "Keidi was extremely helpful, knowledgeable, and understanding! Could not have asked for a better experience!" "Keidi was very thorough and met a pretty tough deadline. Would love to work with her again." •	Drafts incorporation documents, by-laws, operating agreements, service provider contracts and other corporate documents. • Drafts limited partnership agreements for hedge funds, private equity and venture fund formations. •	Represents issuers in private placements of securities under Regulation D to accredited, institutional and other investors. • Drafts S-1 registration statements. •	Counsels newly formed investment advisers regarding organizational structure. •	Initiates, develops, maintains and revises policies and procedures for various confidential investment advisers' compliance programs under Rule 206(4)-7 of the Investment Advisers Act of 1940. •	Monitors the performance of compliance programs. •	Reviews and evaluates compliance issues and concerns and ensure that they are investigated and resolved. •	Establishes small issues of securities under Regulation A. •	Drafted and updated registration statements requiring filing under the federal securities laws; including Form N-1A, Form N-2 and Form N-14. •	Reviewed semi-annual shareholder reports and prepared Form N-CSR. •	Prepared materials for client board meetings, including agendas, resolutions, explanatory memoranda, procedures, and contracts. •	Attended board meetings and prepared meeting minutes. •	Assisted client chief compliance officers in discharging their duties under Rule 38a-1 of the Investment Company Act of 1940. •	Drafted and negotiated transfer agency agreements, fund administration agreements and authorized participant agreements for exchange traded funds. •	Led examinations and investigations of investment companies, investment advisers, hedge funds and transfer agents that ensure compliance with the Investment Adviser Act of 1940, Investment Company Act of 1940, Securities Act of 1933 and Securities Exchange Act of 1934. •	Reviewed advisory contracts, prospectus disclosure, affiliated transactions and Codes of Ethics. •	Analyzed SEC filings for content and timeliness. •	Conducted conferences and interviews with a variety of company personnel in order to determine possible regulatory violations, and with officers and partners of registrants, private investors, attorneys, CPAs, industry and banking officials, and law enforcement officials on matters relevant to the examination. •	Researched and interpreted securities laws, regulations and no-action letters. •	Prepared report of findings to entity outlining securities laws violations and operational deficiencies and corrective actions to be taken. •	Participated in enforcement proceedings by identifying potential witnesses, managing document production, drafting inquiries and questioning witnesses during testimony.